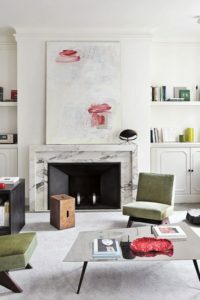 The Jigsaw Designers have always been advocates for painting accent walls fun colors, bold stripes, metallics or whatever trend is of the moment. 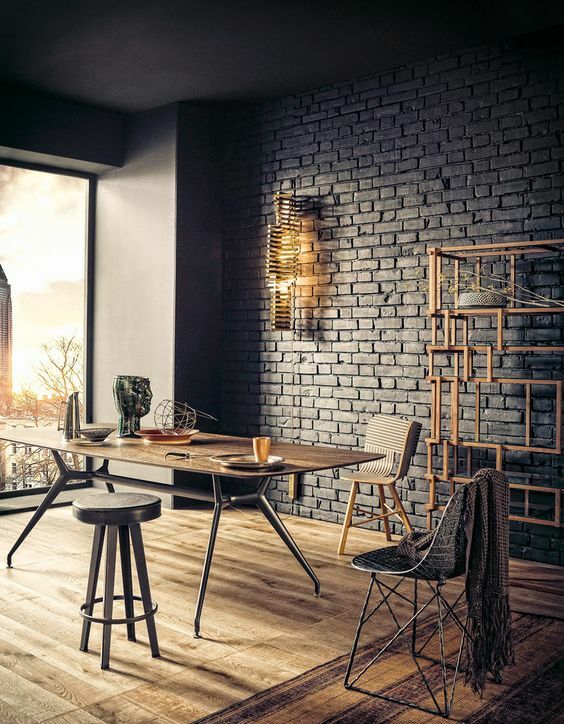 But, sometimes a little texture is just what you’re looking for. 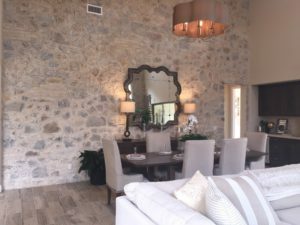 From textured wallpaper to stone walls, in this blog we’ll show you some great ways to create a dramatic accent wall rich in texture. 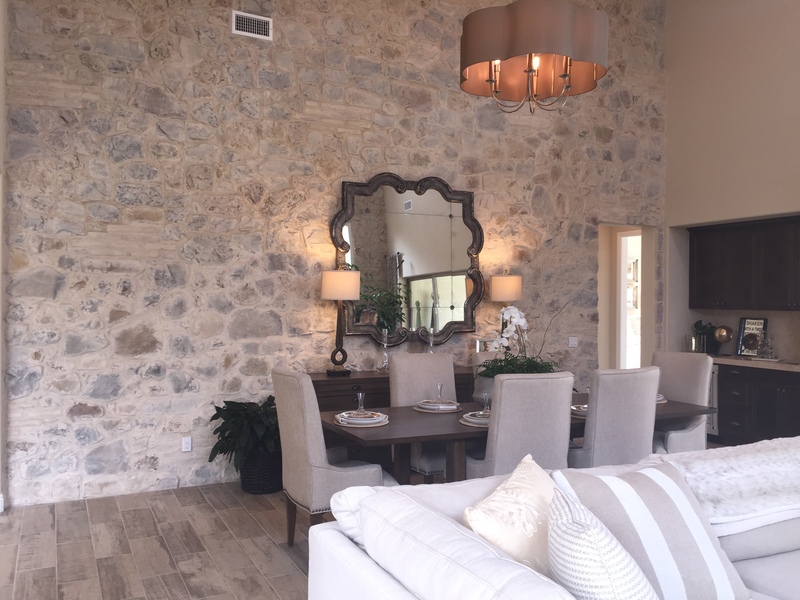 The image above is a dining room with an accent wall made of stone. The rustic ranch style room can keep it’s neutral palette, yet it attains a wow factor with the beautiful texture in the stone. 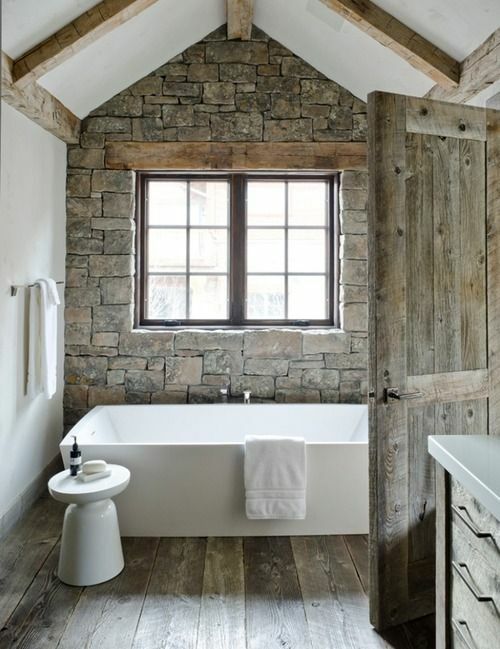 One would think that too much space would be taken up in a room with this size stone, however these are half stones which are installed with a similar process of how brick is installed. 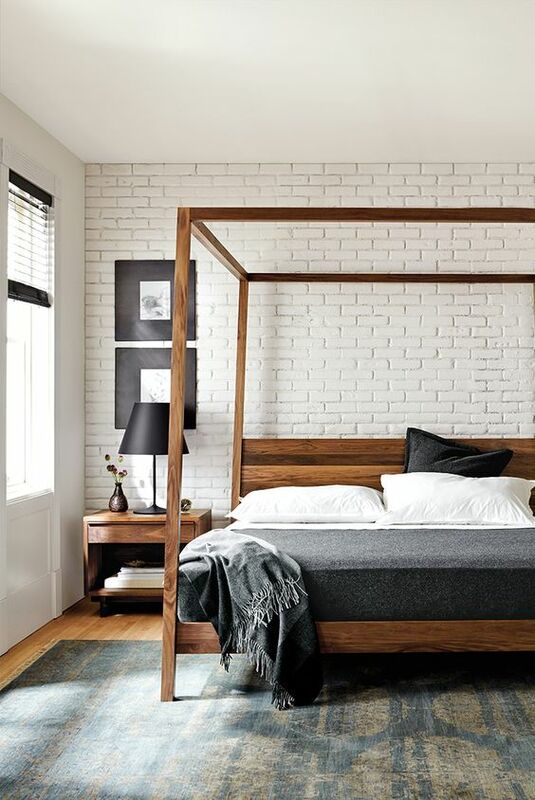 We’ve always been a big fan of the exposed brick wall as a matter of fact we’ve dedicated an entire blog to it. 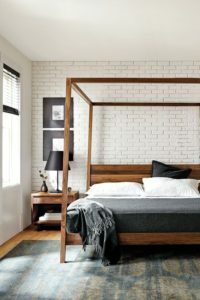 Taking the brick accent wall a step further by painting the brick can be a great trick to adding drama like in the charcoal painted brick below, or neutralizing a color palette like the white brick in the bedroom photo. 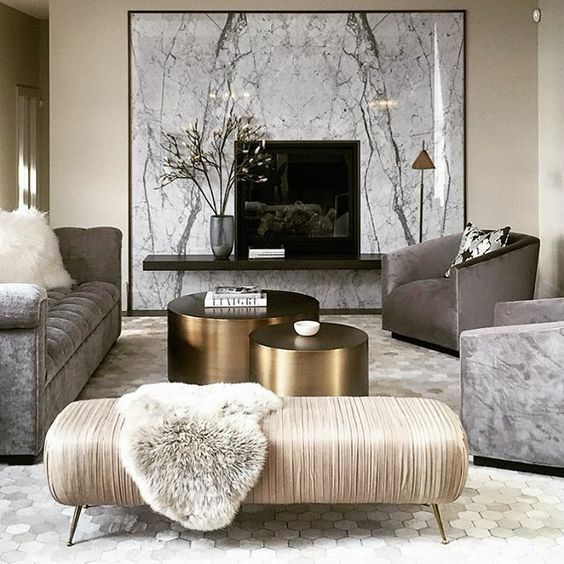 Additionally, wallpaper can be a great way to add texture to your space. With an almost unlimited amount to choose from, one can express their own personality through many differnt styles, colors, patterns and types. 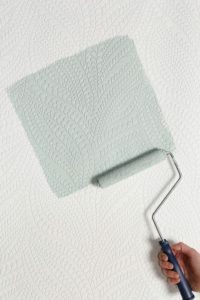 Today, the market can satisfy any style need one can desire from grasscloth, flocked, and even paintable wallpaper. 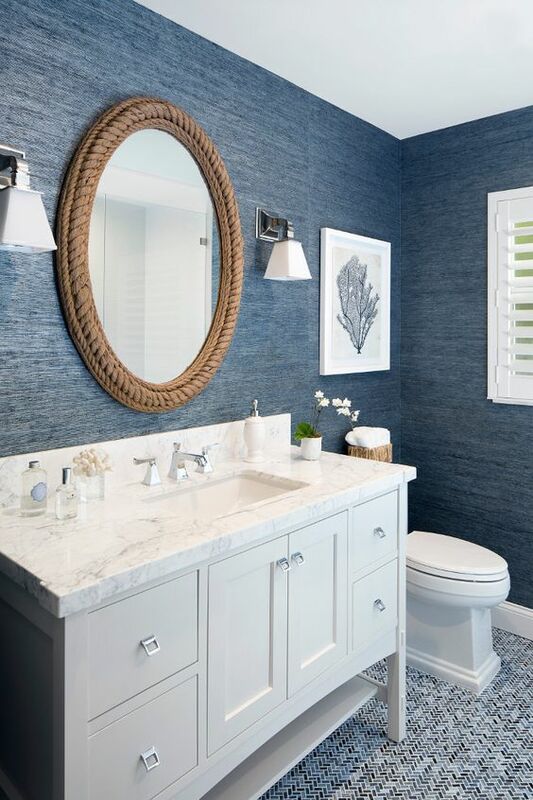 Grasscloth can fit into many styles of space and it pairs especially well with Cape Cod, Traditional and Beach Chic, while flocked pairs perfectly with the old Hollywood Glamazon and Classic French styles. For more information on Wallpaper, see our previous Wallpaper Blogs, and stay tuned for the upcoming blog focused solely on Grasscloth and natural wallpapers. Paintable wallpaper is hot trend right now because it allows you to love your texture, but be fickle with the color you want to keep. 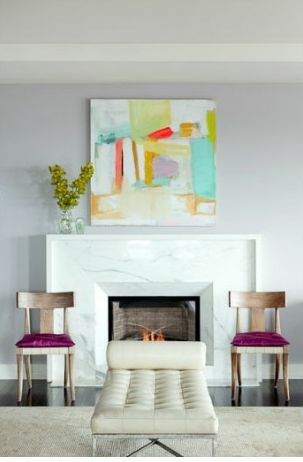 Perfect for you design lovers and DIY types that like changing things up every season or so. 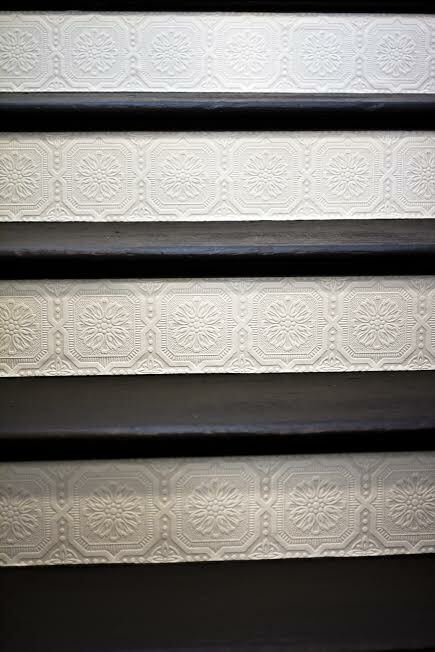 Also a great idea for stair risers, and ceilings. 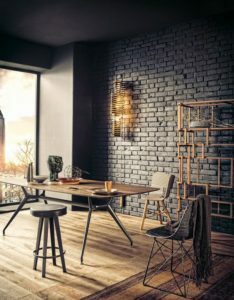 For more information about textured accent walls please leave a comment below or visit the contact page at www.jigsawdesigngroup.com and someone will get back to you. Be sure to subscribe to the blog and like us on Facebook, and follow us on Google+. Welcomed is the chill in the air, signaling fall to finally arrive. The coziest time of year. 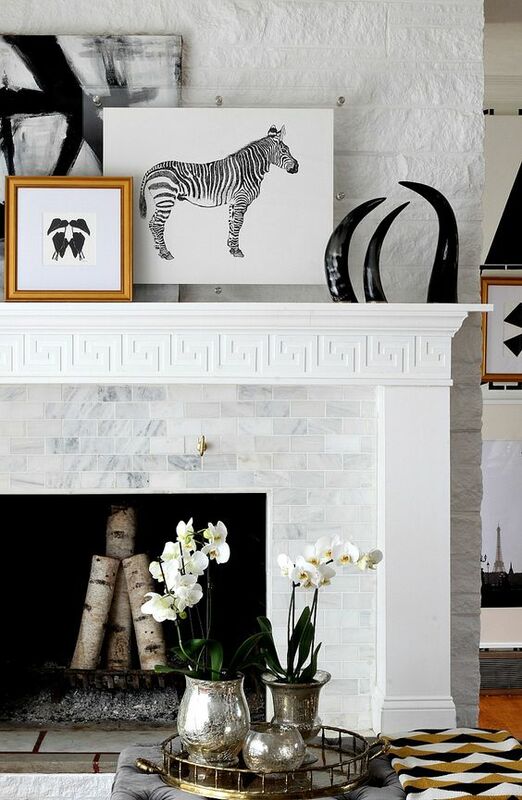 What better time to tackle that fireplace update you’ve been dreaming about for a while. 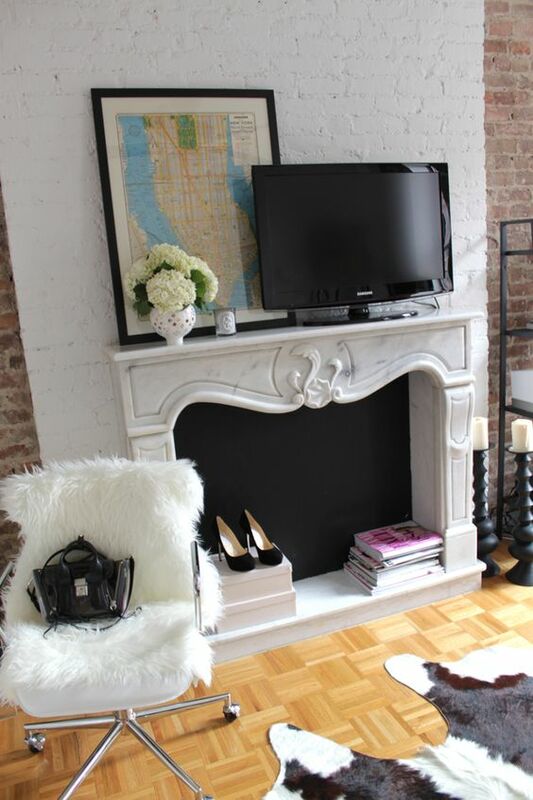 So, dust off those work boots and get ready for a fireplace demolition. 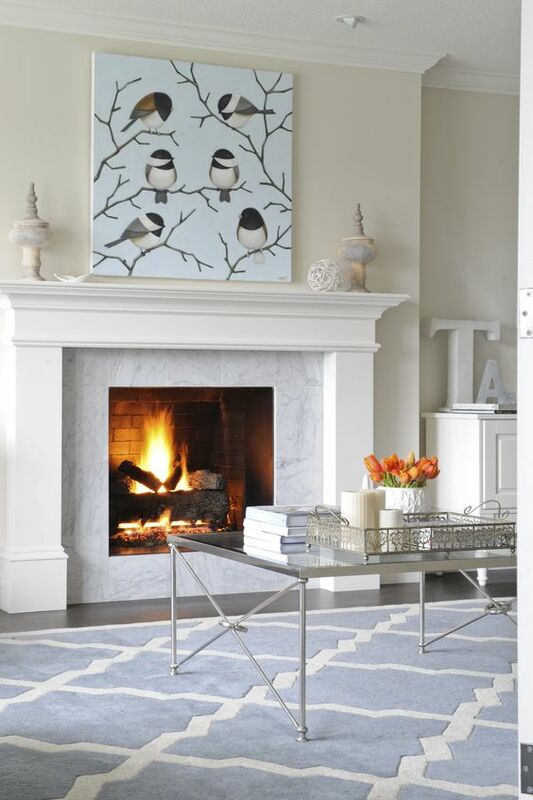 In the next few posts, we’ll share some of our favorite and/or most requested fireplace updates that our clients are asking for. The first post will cover the ever coveted marble. Found now in almost every room of the house. 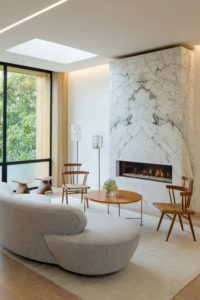 Authentic marble, porcelain that looks like marble, marble wallpaper, you name it, it’s out there and everybody wants it. 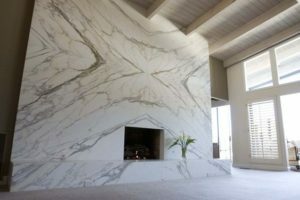 With its former reputation as being only for the extravagant, marble has now been made accessible to everyone. The slab. Insanely beautiful in a few words. Why we love it? 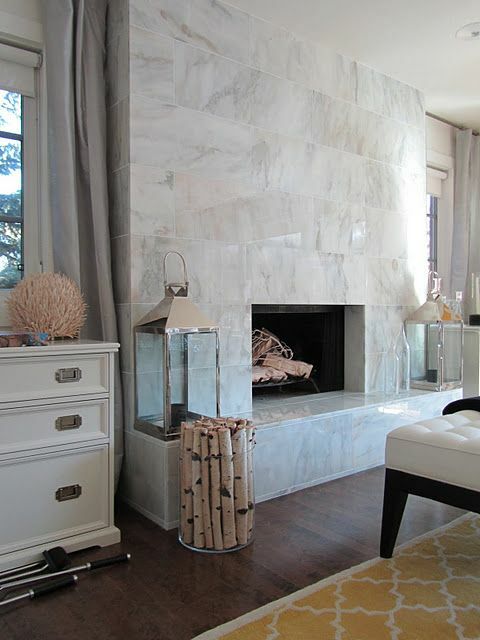 Its natural, without seams it exquisite and quite impressive if you can spend the dough on it. 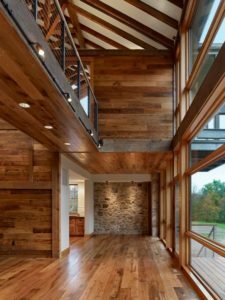 Slabs can cost from $1,000 to $6,000 on average depending on the quality and type. Favorites are Calacatta (not Calcutta as many say), and Cararra (not Carerra as many others will say). 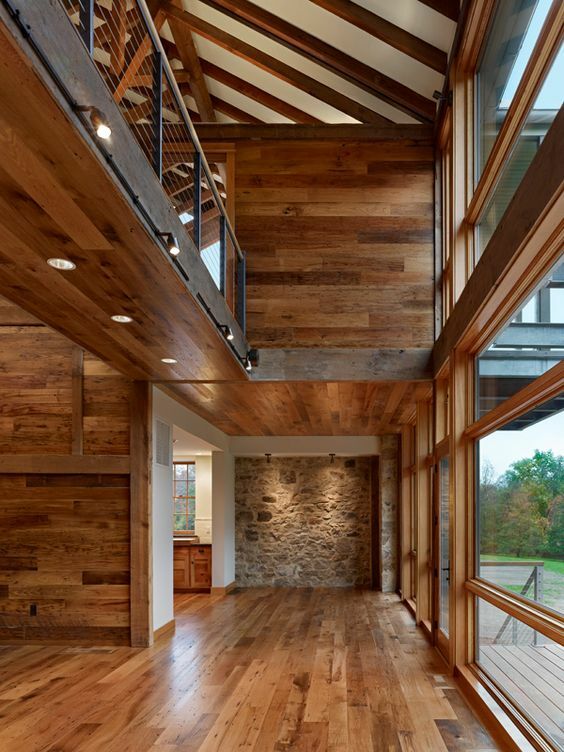 Both lovely and distinct, floor to ceiling…yes, please. 2. Marble Tiles. Artistic and personalized in a few words. Why we love it? So many sizes, styles, shapes and prices available. 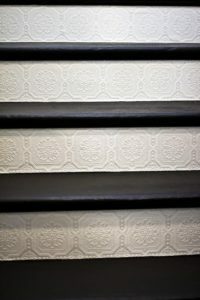 Honeycomb, penny tile, subway, arabesque are all fun examples of marble tiles in the marketplace. 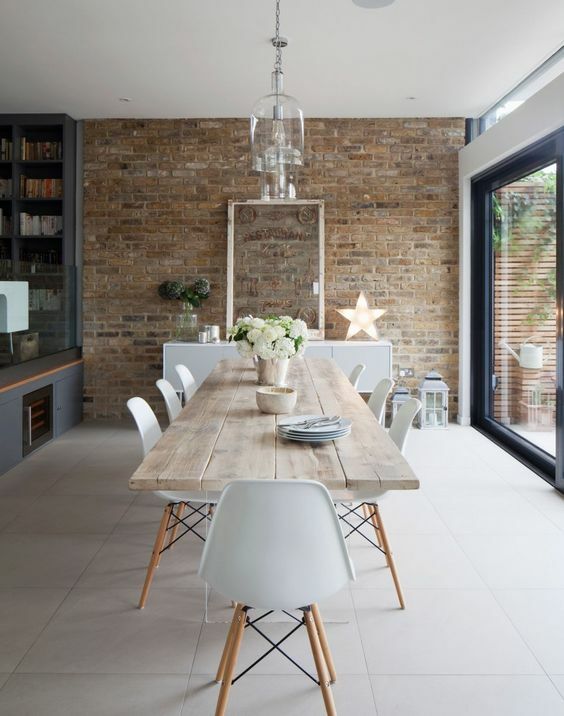 One can select a tile shape that is befitting their personality to express in their space. Big oversized tiles like the image below are great for the floor to ceiling look without paying for the slab. 3. Cast Marble. Statement making in a few words. Why we love it? 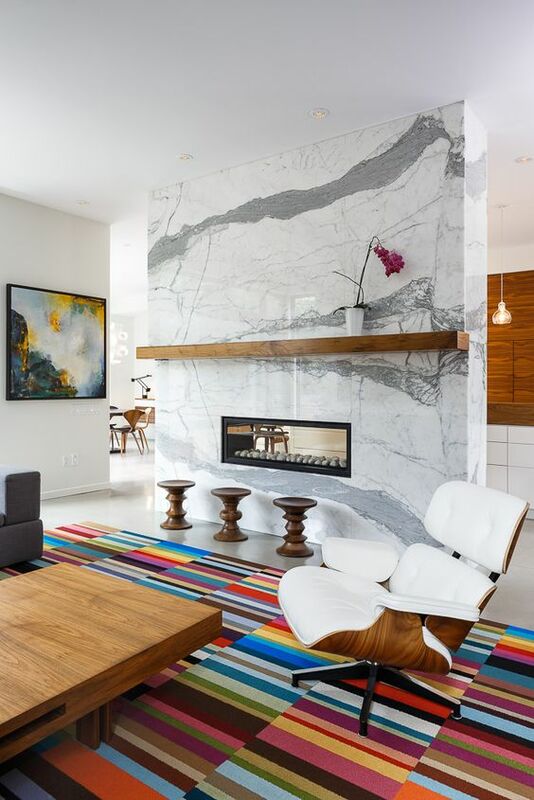 Cast marble is striking with a high design reputation. 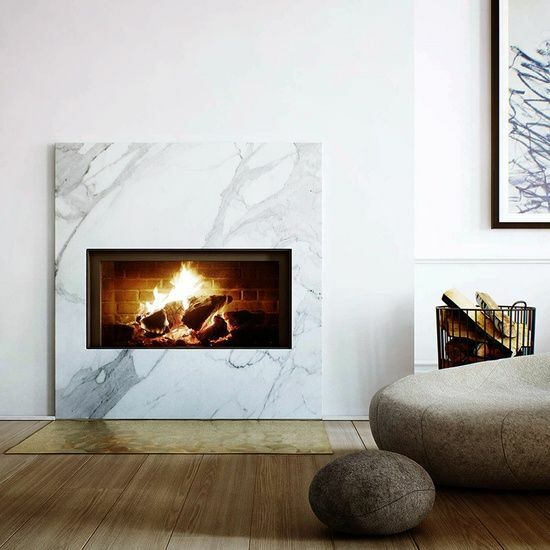 Intricate details, crisp modern cuts all can be achieved with the cast fireplace. 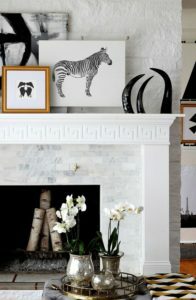 Cast marble are referring to the mantel surrounds while in the interior is cast stone, as seen below. 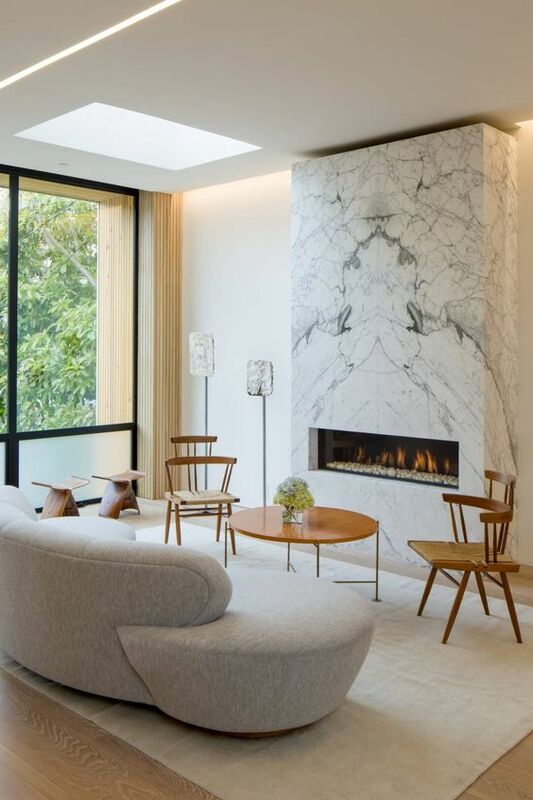 For more information about Marble Fireplaces, please leave a comment below or visit our contact page a www.jigsawdesgingroup.com and a professional designer will be in touch with you quickly. Be sure to subscribe to the blog and like us on Facebook!